Despite the rise and dominance of traditional Western medicine, alternative medicine practices still continue to thrive in societies around the world. While many people are justifiably skeptical of the claims of alternative medicine because they're rarely backed by scientific research, there’s strong evidence that the five treatments below can offer satisfying results. For most people, the prospect of a stranger sticking needles in them is not something to get excited about. However, for some this ancient Chinese practice might be beneficial. In 2012, two major studies about acupuncture demonstrated its potential benefits as a way to deal with pain. In one, released by the Acupuncture Trialists’ Collaboration, analysis found that acupuncture did reasonably well at treating chronic pain—enough that researchers could not merely attribute it to the placebo effect. Similarly, the other study found that acupuncture worked well to treat knee pain associated with osteoarthritis. In fact, the Osteoarthritis Research Society International has even released recommendations stating that acupuncture is a useful way to treat the condition. Guided imagery, or the technique of directing and focusing the imagination, has long been an established way to help people deal with emotional problems like stress, anxiety, and sadness. However, there are indications that guided imagery might also be able to help people deal with physical pain as well. Emotional stress can lead to physical tension in the body, especially in the shoulders, neck, and spine. By using guided imagery to deal with the underlying issues causing emotional pain, its physical effects are subsequently lessened as well. This has been shown to be so effective that the American Chronic Pain Association recommends it as a pain management technique and even provides visitors with a sample relaxation video on the organization's website. Chiropractors have become so commonplace these days that many people no longer consider them practitioners of alternative medicine. While not everything chiropractors do can be backed up with scientific evidence, there’s no denying that they’re doing at least one thing right. Spinal manipulation has been studied extensively by chiropractors and other medical professionals alike, and there’s a good amount of evidence that this technique can effectively relieve back pain. A 2013 review by the Cochrane Collaboration, an independent medical research organization, found that spinal manipulation was about on par with other, more traditional means of alleviating back pain. A stage hypnotist swinging a pocket watch in front of you and chanting, “You are getting very sleepy,” will probably not do much for you, but there’s evidence that some forms of hypnotherapy actually work. In a massive report from the British Psychological Society entitled The Nature of Hypnosis, researchers found that hypnotherapy was an effective method of pain management and that it could also potentially treat conditions like irritable bowel syndrome, asthma, migraines, and skin conditions like eczema. The United States, UK, and Australia all regulate the term “hypnotherapist”, which makes it much easier for patients in these countries to find an accredited, legitimate provider. While the medicinal use of herbs and other plants is much more prevalent in Eastern countries, this practice is slowly making its way into Western treatments as well. 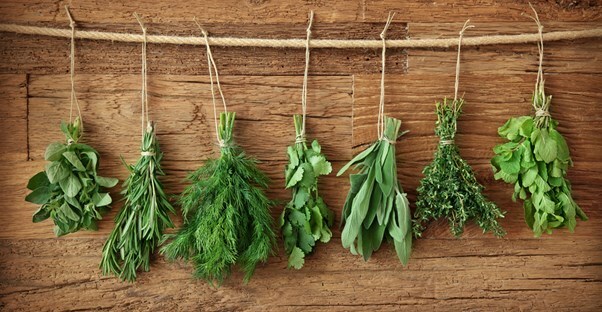 Not all herbal treatments have been proven to be effective, but there’s no denying that some of them actually do work. For example, Gingko biloba is an ancient species of tree originally from China, and extracts from its leaves have long been used to treat a variety of conditions. Recent studies have shown that these extracts have potential as a memory enhancer or even a treatment for dementia. Studies are also currently being conducted to study Gingko’s possible application as a means of treating schizophrenia symptoms.